With a ten-year career under his belt, the German producer has toured in over 80 countries and released over 100 tracks, establishing himself as a respected and dedicated producer. The album contains input from some big trance names; Renee Stahl, Ana Criado, Elizabeth Egan, Sue McLaren, Stine Grove and Melissa Loretta. Included is the 2013 mix of the Sun Decade track 'Lasting Light' featuring the familiar vocals of Emma Hewitt. 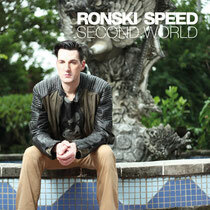 Ronski Speed also collaborated with some of Euphonic's top acts for the album, including Mirco de Govia, who had success with his single 'Epic Monolith.' The two joined forces in the studio to create a brand new track called 'Ambrosia.' Also appearing on the reflective tracklist is Ronski’s previously unreleased song 'Fiero' and his mix of Kyau & Albert's 'Euphonia.' Have a listen to the preview below.